Since each user doesn't have to edit or even view each resource, there are resource editing rights in Ganttic. Custom editing rights will overwrite general editing rights. Select 'Resource rights' from the menu on the left. The selected rights will apply to all resources. Special editing rights overwrite the default resource editing rights. You can also choose rights for the one(s) you want to be excluded from the general rule. The stop icon means that the user has no access to a particular resource. The eye icon means that the user has read-only access to selected resource's data. The pen icon means that the user can read and edit resource's tasks. 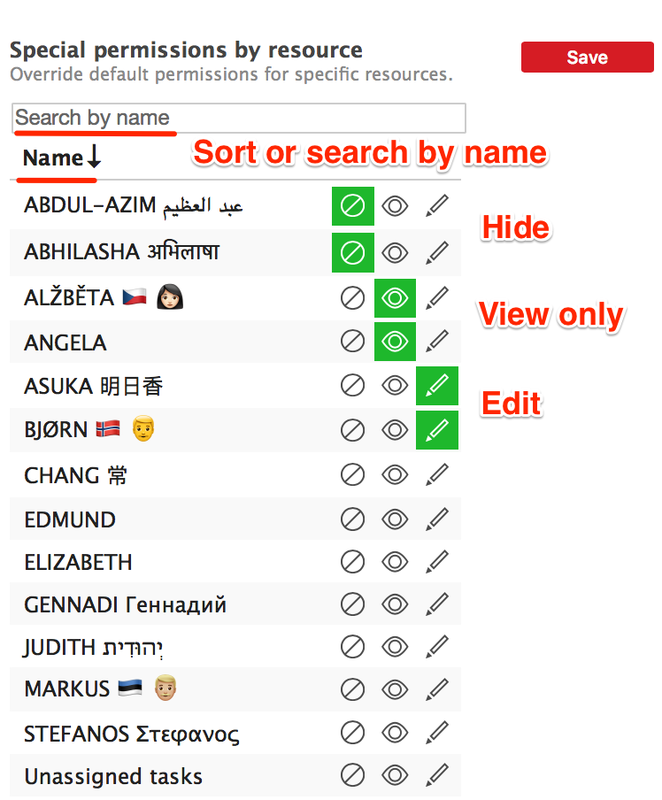 For example, if you have a user that only needs to edit the data and tasks of a specific resource, set the general rights to 'Can only see selected resources', and set the custom editing rights to that resource to 'Edit' or 'View only'. When that user logs in to the planner, they can only see that resource and its tasks. The general editing rights will be overwritten. To find a resource quickly, you can use the search tool above the resource list. The user will receive a link to specified email to set a private password and accept the invitation. 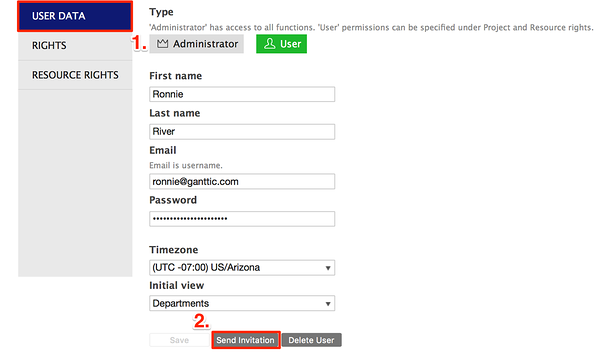 The user can then log into the resource planning tool with these permissions applied. User type, data, and permissions can be edited later. Did not find the answer to your question regarding resource editing rights?